According to a new vehicle customer study by MaritzCX, the Ford Explorer Sport has the highest percentage of Gen X buyers of any non-luxury SUV in the United States. This demographic shows a preference for exclusivity and performance at a great value. 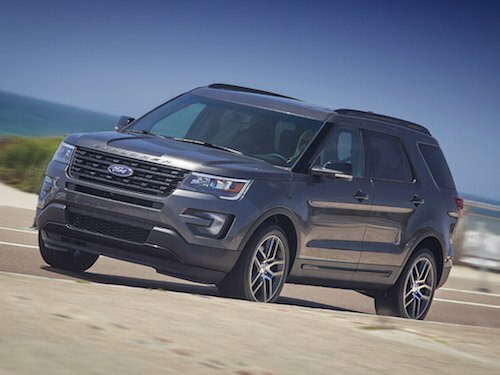 With an average household income of $175,000 Gen-Xers can afford most high end vehicles but according to the study, most prefer the Ford Explorer Sport. Since its debut in 2014 the Ford Explorer Sport has represented 15 percent of total Ford sales. This model offers all the style and performance of a luxury SUV but has a price point that is about $20,000 less. Considering Gen-X drivers reportedly seek out vehicles that are fun to drive, have power, pick-up and offer the best overall performance, the Explorer is a perfect fit. The Explorer Sport is powered by s 3.5-liter twin-turbo EcoBoost® V6 engine mated to a six-speed SelectShift® automatic transmission and delvers 365 hp. Jim Mulcrone, director of research services for MaritzCX, says 23 percent of buyers of other midsize SUVs, on average, are Gen-Xers, but Explorer Sport attracts nearly 40 percent of those born between 1965 and 1978. The newest Ford Explorer has an starting MSRP around $31,000 and the new Ford Explorer Sport starts around $45,000. Both models offer more amenities and responsive power than any other model in their class. If you would like to learn more about this popular Ford SUV please contact us, or better yet, why not come test drive a new 2017 Ford Explorer in the San Francisco Bay Area?